Our dear friends from Aqua FX have a great surprise for us this Christmas!! Participate for a chance to win the Aqua FX Booster pump 100 GPD for your RO/DI unit! Share this Giveaway Ad publicly and tag 2 reefer friends! **For 6 extra tickets in the raffle; download the ReefTrace App at the App Store. **For 2 extra tickets join The ReefTrace Live Group in Facebook. Your participation in ReefTrace Live™’s Giveaway (“The Giveaway ” or “Promotion”) shall be deemed to be your complete acceptance of the Terms and Conditions herein. The following are the Terms and Conditions of The Giveaway, which is sponsored by the operator of the Internet site www.ReefTrace.com ("ReefTrace Live™" ). Only persons over the age of 18 are eligible for entry to The Giveaway. You may be asked, at any stage, to provide ReefTrace Live™ or a third party with proof of age and /or identity. The Giveaway shall take place on the date specified on the Giveaway page on www.ReefTrace.com. Each entrant shall be entitled to make one (1) entry into The Giveaway only. In the event that ReefTrace Live™ deems an entrant to have made multiple applications to enter or to have acted in bad faith with respect to the Promotion, the entrant shall be excluded from The Giveaway and consequently ineligible to win the Promotional Prize, as defined below. 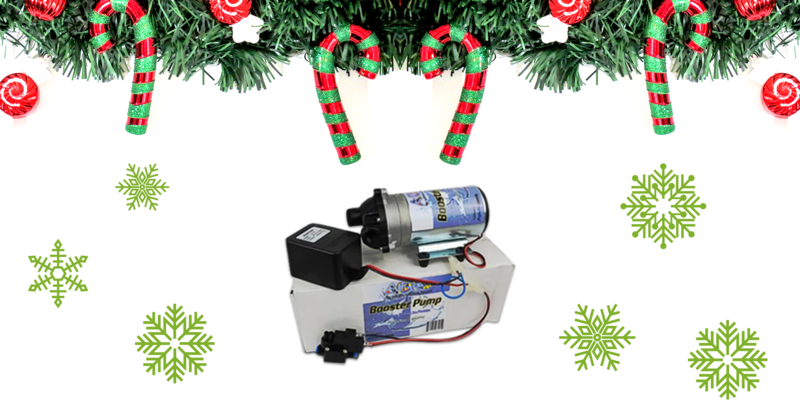 The Promotional Prize for winning The Giveaway shall be an Aqua FX Booster pump 100 GPD from www.aquariumwaterfilters.com, valued between $120.00 and $150.00 USD (the "Prize"). The Promotional Prize will be mailed out to The Giveaway winner after the winner has provided ReefTrace Live™ with a valid mailing address and proof of identity . ReefTrace Live™ shall notify the winner of the winning via a post at ReefTrace Live™ facebook page and instagram account within thirty (30) days of The Giveaway. The winner shall receive the Promotional Prize within sixty (60) days of ReefTrace Live™'s receipt of the details of the winner required in order to affect transfer of the Prize. Notwithstanding Section 6 above, in the event that, for any reason whatsoever, the Promotional Prize winner fails to respond, within thirty (30) days, to the E-mail notification of his/her winning, such winning entrant shall be deemed to have forfeited his / her claim to the prize and ReefTrace Live™ shall not have any obligation whatsoever to compensate the winning entrant in any way. ReefTrace Live™'s decision is final with respect to all matters relating to awarding of the Promotional Prize and shall not be subject to review or appeal by any entrant or by any third party. Your participation in The Giveaway is considered your agreement that ReefTrace Live™ may contact you. The Prize is neither transferable nor exchangeable and cannot be exchanged for money or money's worth. By entering the Giveaway each entrant unreservedly agrees to these terms and conditions which govern the Giveaway and the awarding of the Prize. By entering the Giveaway each entrant agrees to release, discharge and hold harmless ReefTrace Live™, its legal representatives, affiliates, subsidiaries, agencies and their respective officers, directors, employees and agents from any damages whatsoever suffered or sustained in connection The Giveaway or the acceptance of the Prize. The winning entrant shall be solely responsible for any taxes levied in relation to the delivery or receipt of the Promotional Prize. ReefTrace Live™ reserves the right to alter these Terms and Conditions at any time and in its sole discretion. ReefTrace Live™ reserves the right, at any time, to cancel, modify or suspend The Giveaway if, in its sole judgment, The Giveaway is not capable of being conducted as specified. ReefTrace Live™ reserves the right to disclose winner’s name and identity. These terms and conditions and any matters relating hereto shall be governed by, and construed in accordance with the laws of Dallas Texas and shall be subject to the exclusive jurisdiction of the courts of Dallas Texas. All rights reserved. Other trademarks are property of their respective owners.